The Colour Factor: Discover Your Season! 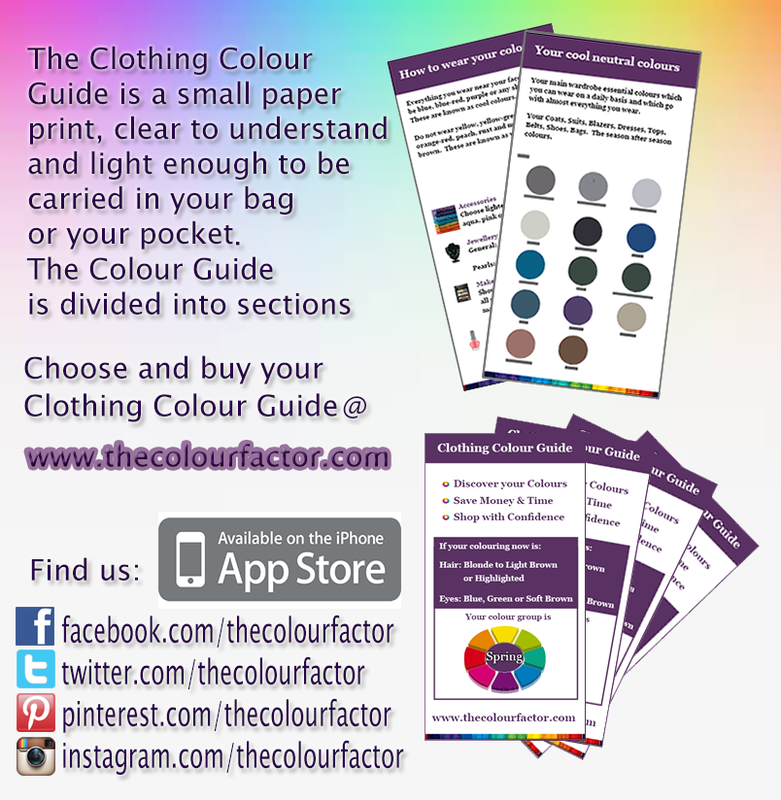 The secret of the Clothing Colour Guide is simple. We use the yearly seasons to describe people and their best colours. The same as nature is divided into 4 seasons and each season with its own beautiful colours, and so every person has a unique hair and eyes colouring which is matching with the yearly seasons. 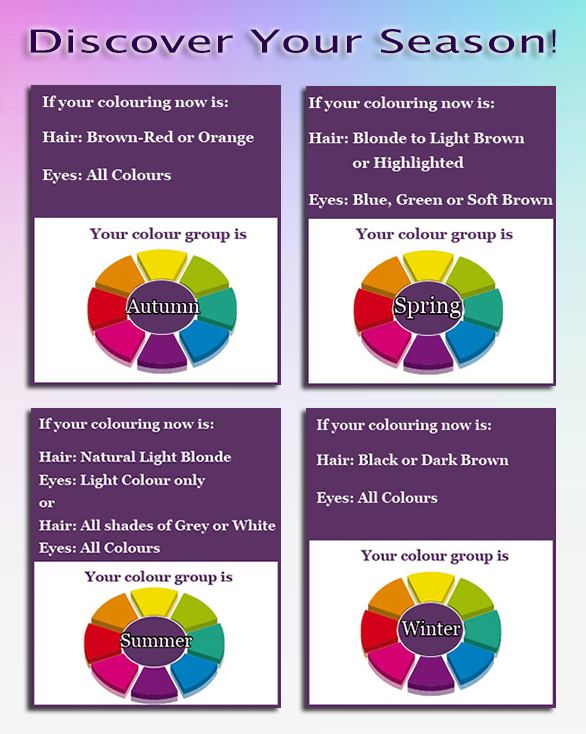 Our Clothing Colour Guide shows everyone how you can discover your natural beauty through colours by choosing your own personal season. You will also find in the Clothing Colour Guide how easy it is to build a co-ordinated and interesting wardrobe with the least amount of fuss. Your Seasonal guide shows the shades which are right for each person when choosing clothes and make-up and accessories. You will shop for yourself and for others wisely and well,with the confidence to select what you know will suit you, without allowing to be intimidated by sales assistants. It really works!